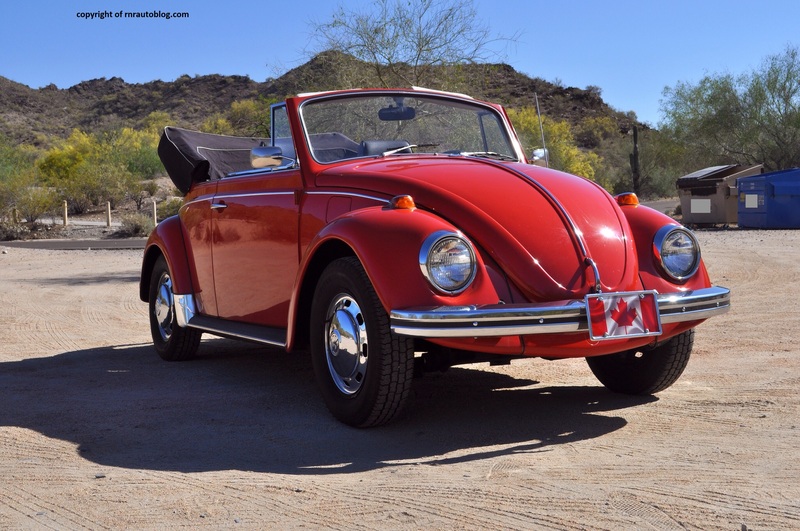 Despite the Beetle’s reputation as a lovable and hippie car, many individuals refuse to like the original Beetle, mainly because it was conceived by Hitler. As a solution to Germany’s unemployment crisis, Hitler came up with the idea to build the autobahns (special roads) for motor vehicles. He got to work on producing the “people’s car” that the average person would be able to afford. Ferdinand Porsche was tasked for the design and engineering of such a car. 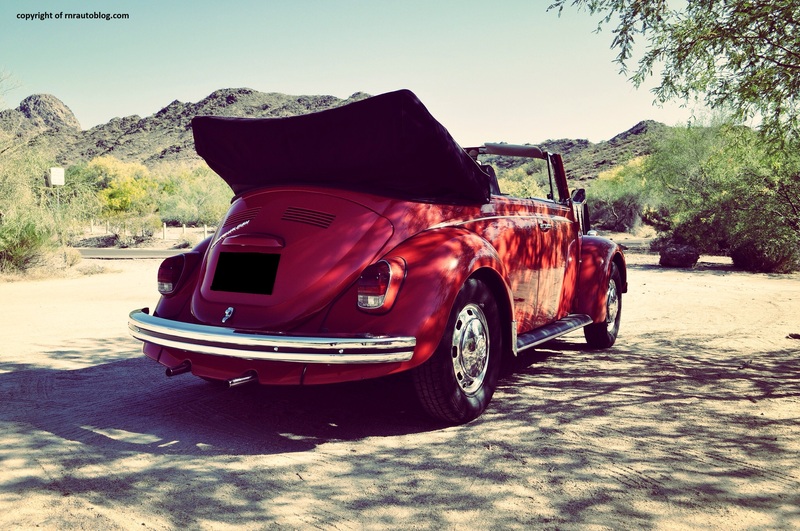 Hitler said the Beetle must have a top speed of 62 miles per hour, achieve more than 40 mpg, be able to transport a family (two adults and three children), and its engine must be air-cooled. It was then Porsche decided the Beetle should be rear wheel drive and rear engined. In 1938, production for the Beetle commenced. However, it was not until after 1945 that the Beetle really took off. 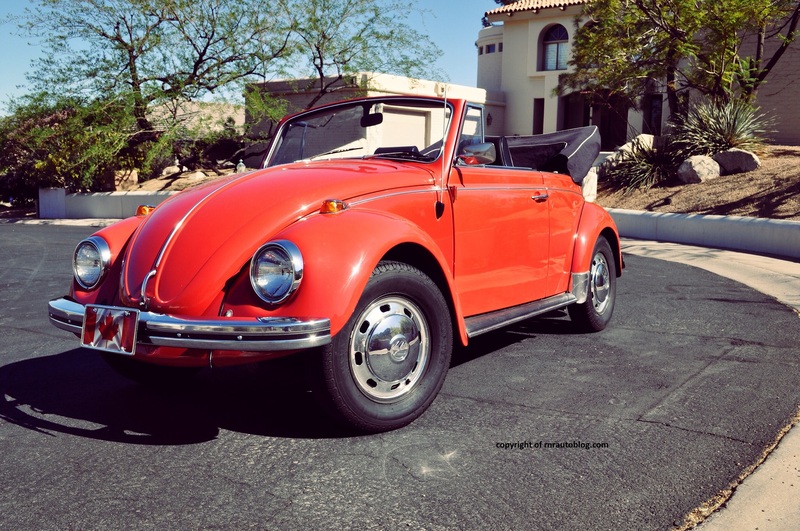 During this time period, the Beetle was known as the Type 1, and “The Volkswagen”. 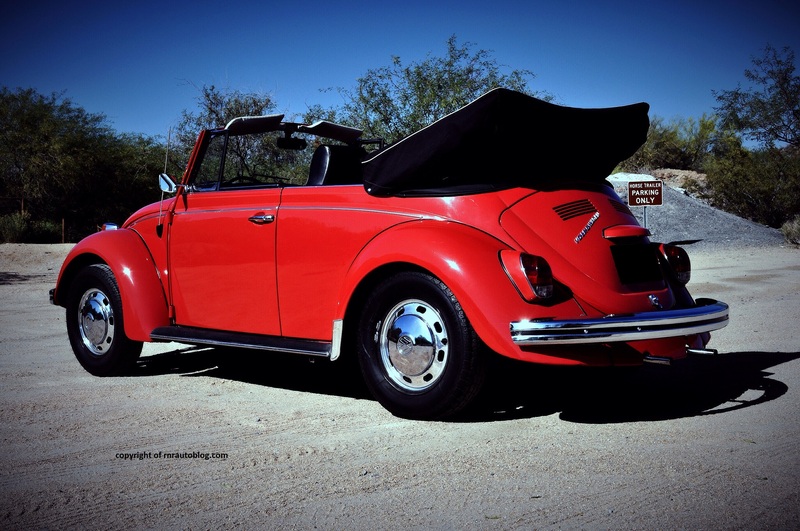 Styling wise, it is not hard to see why it is called the Beetle. When you look at the front, the prominent headlights and the bulbous hood resemble the face of a beetle. 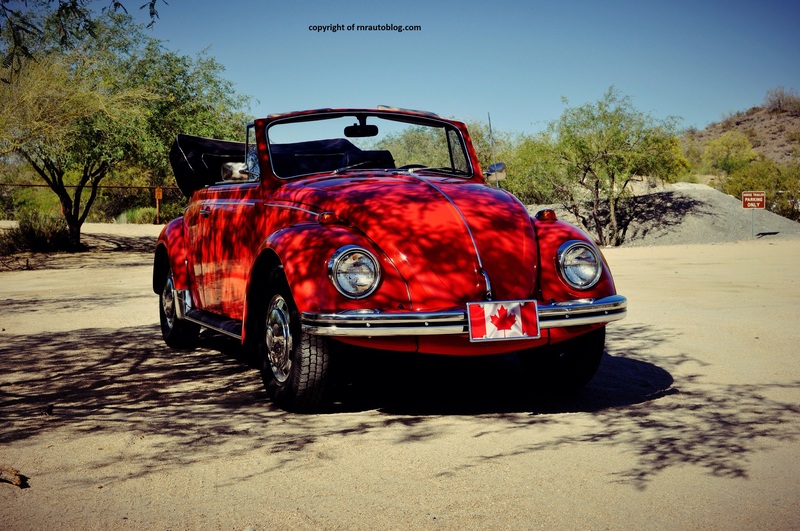 The Beetle is a model of classic simplicity whether it is in its chrome hubcaps, blocky headlights, separate chrome bumpers, or its separate blinkers (turn signals). The side profile is defined by its flaring wheel arches and a single chrome strip. With the top down, there is a nostalgic feel to the design, as evidenced by the convertible top’s placement behind the rear seats. The slanted rear houses a separate chrome bumper and simple taillights. I chuckled when I saw how far the dual exhausts protrude. The interior carries over the clean theme. The body colored interior panels are a nice touch, and the overall ambiance of the interior is distinctive and uncluttered. As lovable as the Beetle is, it does not drive anything like Herbie (a speed happy and personified Beetle) from the Herbie movies. It is a great drive, but handling is not its forte. The skinny tires do not provide much grip, so the Beetle reaches its limits early. Body lean sets in early during a turn, and the brakes provide less than adequate performance. The steering is decently weighted in a straight line, but it becomes very heavy when turning at any speed due to the lack of power steering. The steering is bursting with feedback although some people may attribute it as too much vibration. 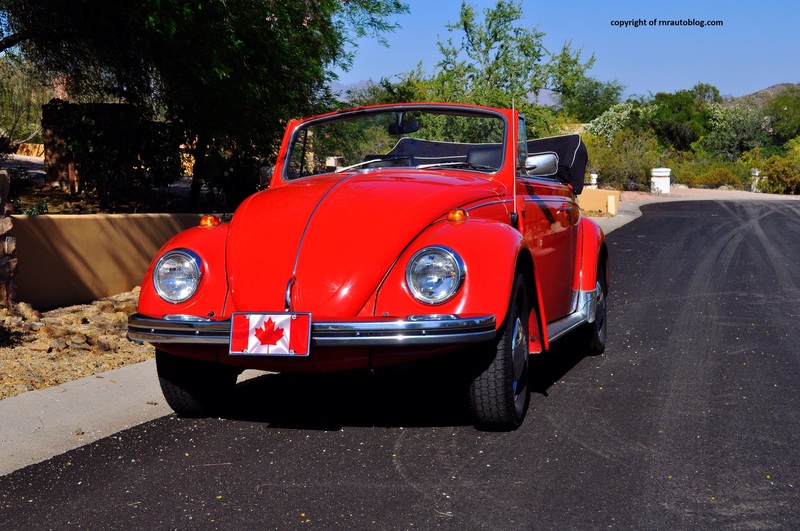 As the “people’s car”, the Beetle is expected to provide a comfortable driving experience, which it does well. When you’re not tackling corners with the verve expected of Herbie, it is actually relaxing to drive. Considering the Beetle’s short wheelbase, I expected a jarring ride quality. The reality is that it irons out bumps well, and even on bumpy roads, the car remains surprisingly solid for such an old car. With a flat four engine pumping 53-60 horsepower, performance is not the fastest. I hate to say this because I do not usually place emphasis on horsepower, but the Beetle is slow, and it could use more horsepower. You need to work the engine hard in order to keep up with traffic, and you really have to plan your overtaking and lane changes, especially on the highway. Complementing the engine is a four speed manual transmission. The layout of the gears take some time to get used to, and the shifter feels rubbery at first, but the Beetle is very easy to drive. 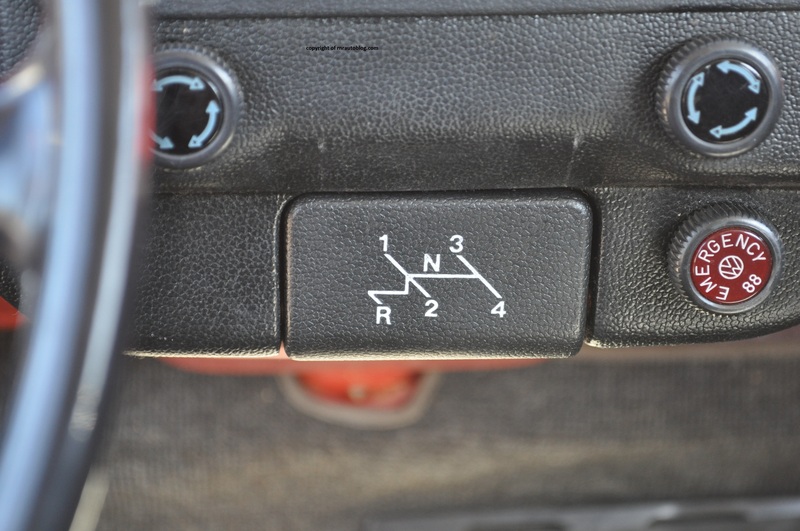 The clutch is jumpy during a stop but easy to modulate once you are moving. 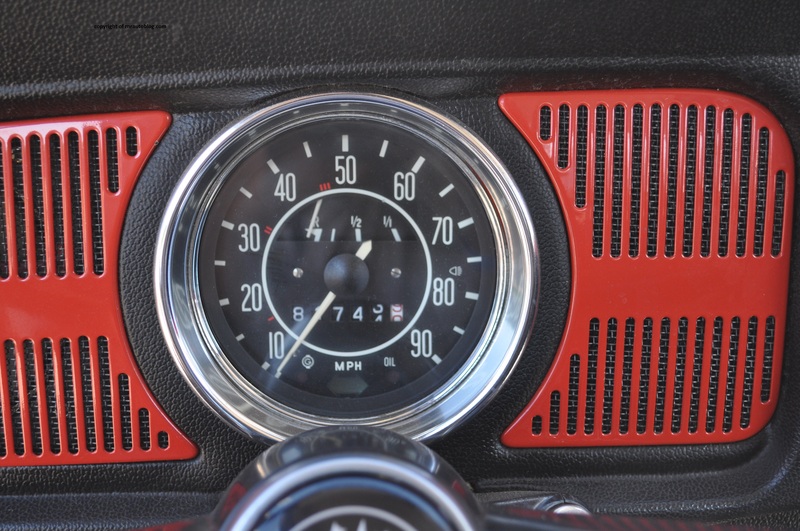 There is no tachometer, so you basically shift depending on the engine noise. Again, I hate to criticize the Beetle, but its refinement is lacking. It is noisy inside, and the flat four remains audible at any speed. 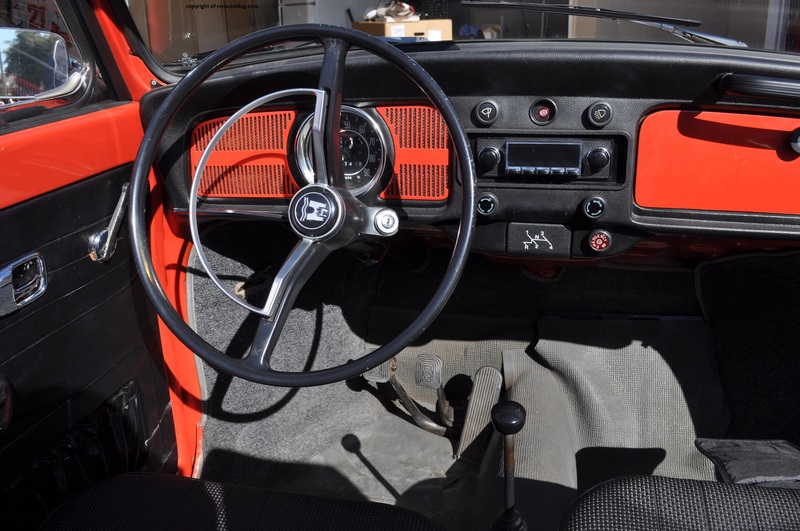 Despite its age, the cabin features immaculate fit and finish. 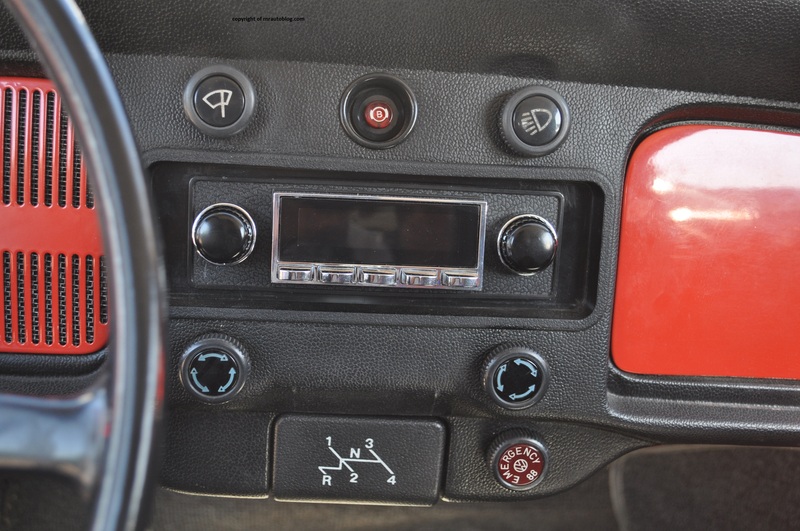 There are just eight buttons for the controls. Eight!I sometimes wonder why automanufacturers cannot make their controls as easy as the Beetle’s. In the front, there is plenty of legroom and headroom, even with the top up. The seats are a bit firm, and I suspect that they would be tiring on a long journey. There are no seat adjustments and no telescoping/tilt wheel, so you either feel comfortable or you don’t. It worked out in my favor, although the floor mounted pedals are a bit of a reach. With the top down, visibility is tolerable. With the top up, there is no visibility due to the top. The only way to look behind you by checking your door mirrors. The rear bench is softer than the front seats, but it has decent room for three small children, but three adults might find it cramped. With the top up, headroom is compromised due to the sloping roofline. Trunk space in the front is decent, although there is storage places in the cabin. 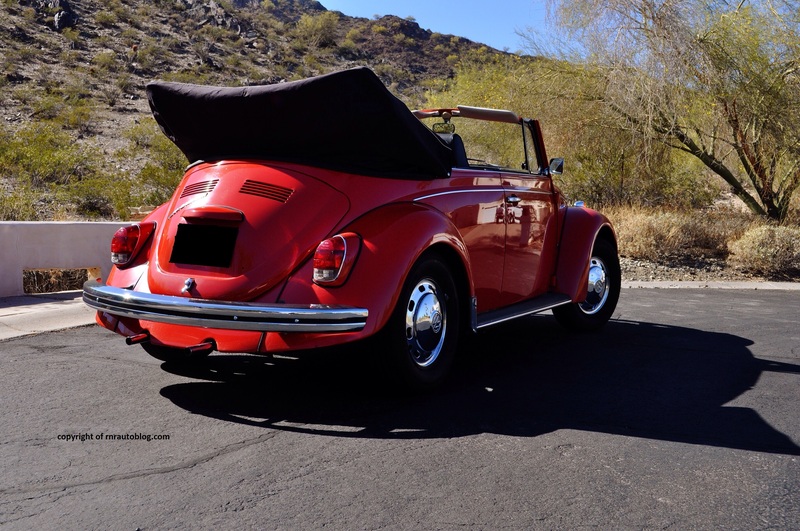 When I found out the opportunity to review this car, I was excited, not just because it’s a classic Beetle, but because it holds many childhood memories for me. My grandfather had a blue 1968 Beetle that he drove my sister and I for ice cream. The engine was noisy, and the inside always smelled like gasoline, but I did not care. It was such a cool car. 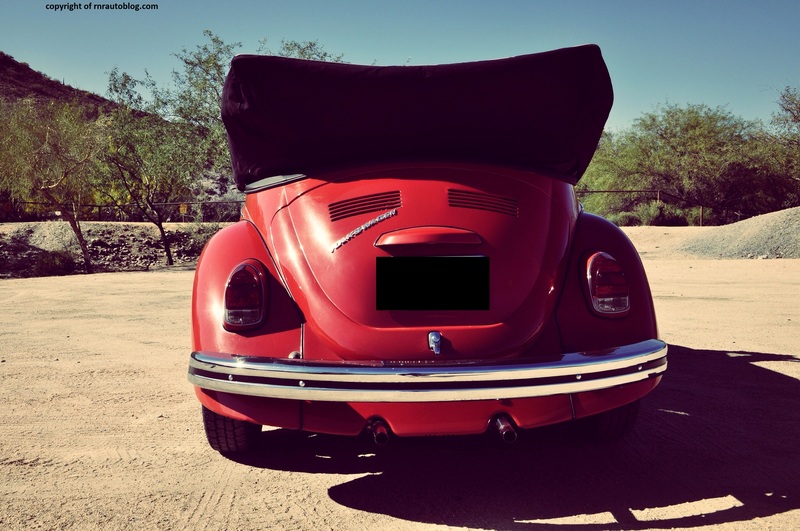 My love for the Beetle grew, especially when my father got me old Herbie movies (not the Disney Herbie Fully Loaded), and that sparked my fascination with the Beetle. I had posters of the Beetle all over the walls of my room. I had several toy models, and my favorite shirts were always the ones with a Beetle on it with “Life is good!” written underneath. My babysitter at the time got me this box to keep my toy cars in, and a Beetle was painted on the cover. It was just my favorite car of all time. Then sadly, as I got older, my interest spread to other cars. I did not even think about the Beetle until I drove this. 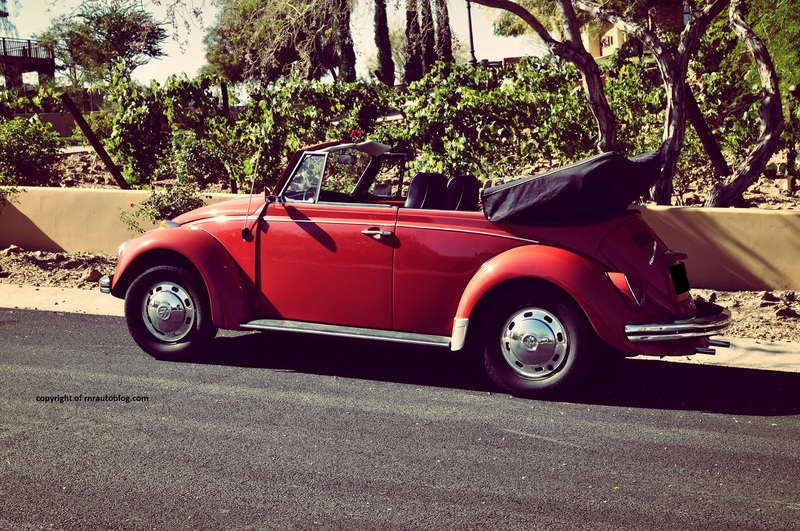 The Beetle was not just a trip back to the 1960s. It was a trip back to my childhood.